On the other side though, I'm so glad I got mine wrapped so I don't have to deal with it anymore! I can have the car washed, dried, and sprayed down with the wrap care in under an hour! No wax or correction needed! Haha. Thanks for the kind words. The 3 weeks I was waiting for it to warm up to opticoat, I joked with my buddy that I was just going to plastidip the car to protect it. He always told me I should just kill myself instead. I never would have dipped the car. After all that work, I won't be wrapping the car. Expel Stealth had intrigued me before but I am definitely in love with the deep gloss I have now. wow, wow, and some more wow....incredible, looks like a million bucks, I couldn't dare to attempt something like this. Great job Chris your car looks great and I know firsthand how much hard work and elbow grease is involved in detailing a car the right way. My dad who has been doing paint and body work for over 45+ years and he taught me how to massage and detail paint to a mirror finish. Did you wet sand the clear coat? On black cars I always start with 2000 grit and end with 3000 grit over running water from a hose until all of the orange peel is removed. Then buff first with an aggressive 3M compound and wool pad wiping it down with a soft terry cloth after each stage. Secondly, I buff it again with another wool pad with a fine compound. Thirdly, I use a polishing compound with a foam pad. After all of that I will hand polish and hand wax. Generally takes me 16-20 hours depending on the size of the car. I have done this to every car I have ever owned including my wife's grocery getter GL550. Thanks! Yeah, some of the clear is removed. The car has never had a paint correction so this can probably be done a few times. A better answer is that a paint depth gauge needs to be used. 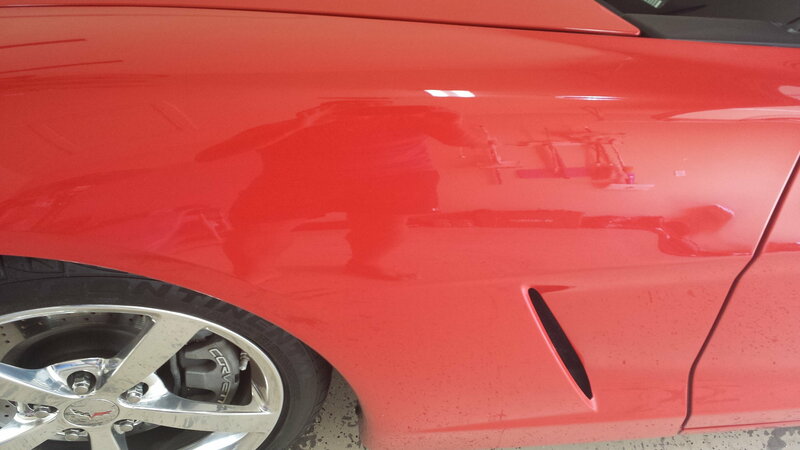 This is a major reason i went with optimum gloss coat. It's basically like adding another hard clear coat on top of the paint. It supposedly adds a couple mils to the thickness of the paint so any light swirls or scratches occur in the opticoat. 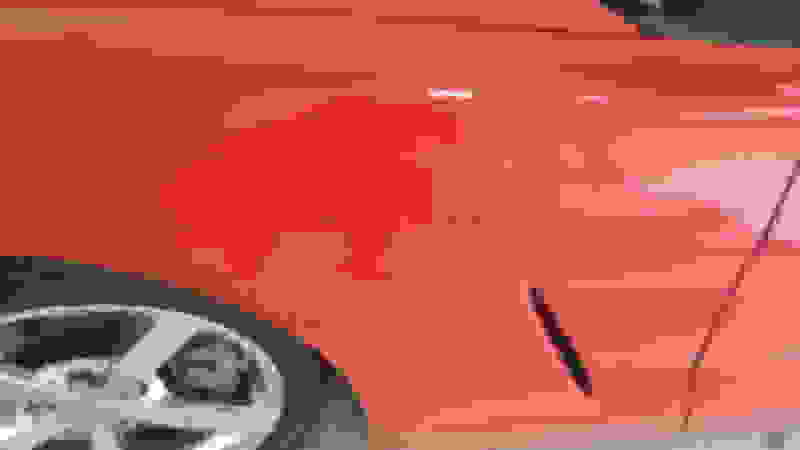 If the entire finish appears too swirled up, i can just use a light cut or polish to remove the opticoat, correct any sections of paint that need it, and then reopticoat. Optimum gloss coat is supposed to last around 2 years. I don't drive my car in the rain or in winter so I anticipate that it will last quite awhile. Additionally, I think i am going to throw a coat of Dodo Juice Hard Candy wax on top to add a little more protection to the opticoat. It won't last as long as when only the wax is used due to the wax having a harder time sticking to the opticoat. I hear ya! Nothing beats a perfect clean dark colored car after a correction! Unfortunately, I travel every week for work, so the time I am home on weekends, I don't want to spend it in the garage, I'd rather be out driving the car! I don't think plastidip is right for these cars, bt if done right, it can look pretty good. That looks great! Wetsanding is too scary for me. I have been tempted to try the new denim pads that have been released that get rid of orange peel. Those seem like fewer steps and less chance for error than wetsanding. But even the denim pads kind of scare me. Maybe one day I will. I plan to wetsand the hood of my Lexus just to try. The clear is peeling on that (repainted prior to me buying it) and that is kind of my test panel for things. Good job. The result is worth every hour spent. Love that grill too, must get my hands on one!!! You need to get better shop lights for detailing! That is the only comment I have lol...but you just kicked my *** into doing this now. I'd been tossing the idea around for a while but now seeing your post I am going to. Also a few members in my club I want to perform a paint correction for just for fun. Since white doesn't give you the same satisfaction as black! Was there a reason you chose Menzerna? Last edited by SuperFastYo; 12-08-2016 at 04:40 PM. Thanks guys! I'll be honest. I chose Menzerna because Larry Kosilla (Ammo NYC) was using it at the time. Also, my buddy that owns a high end detailing shop up in NoVa (instagram @glaswerksdetailing) gave me advice on the process and he recommended Menzerna. Now I think Larry uses Meguiar's M105 and 205. My buddy still uses menzerna and a bunch of other stuff. As far as the lights, yeah I could use better ones but the ones I had got the job done. I use Menzerna products as well . . . This was a good necro if you ask me. All I can say is wow, what a difference, car looks amazing! Even at a cheap $75/hr, a 30hr detail is $2250. People who don't understand detailing lose their chit when they call a shop for a "full" inside out job and get quoted $2k. One thing about Menzerna though -- I've found it dusts SO much. If you ever give this another go, try HD products. They're cheaper and absolutely amazing. HA! For real. So much dust. IMO nothing beats Menzerna for blacks. My paint is in pretty good shape, so after washing and claying I usually hit it with Meguiars Swirl Remover and Show Car Glaze, and top it off with the Menzerna Powerlock sealant (the FMJ was better) then Pinnacle Souveran and it has a great wet look. thats what I use, 105 & 205. I have tried several different products and Meguiars has worked the best IMO. Granted I never tried Menzerna. I bought a 4 LED flood lights that I put on stands to surround the car, I got them at cosco and they're snapon branded. I think it was a snapon colab since I was able to grab each light for around 50.00 (which for snapon is ridiculously cheap) so I doubt its a true SnapOn only product. they're extremely bright and show marks really well. Fantastic job! I used to do this stuff for extra money on the weekends. Paint correction is incredibly labor intensive. 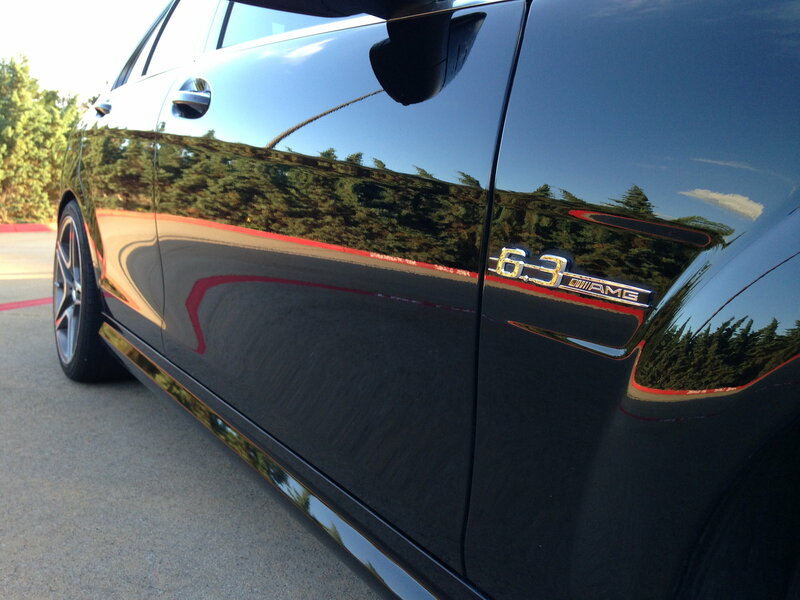 I almost just want to pay someone to correct the paint on my CTS-V so I can spend the time doing something else. I kind of find it therapeutic. And I like the sense of accomplishment that goes with it. And I am so **** i have a hard time letting someone else touch my car if I can do it myself. And it doesn't have to be done that often. Next time I'm sure will be quicker. I don't think I'd personally be able to spend 45 hours, but your results look amazing. Great job!